Siemens WalkAway 96 Plus Reagent Dispense Bottle & Adapter . New Life Scientific, Inc. 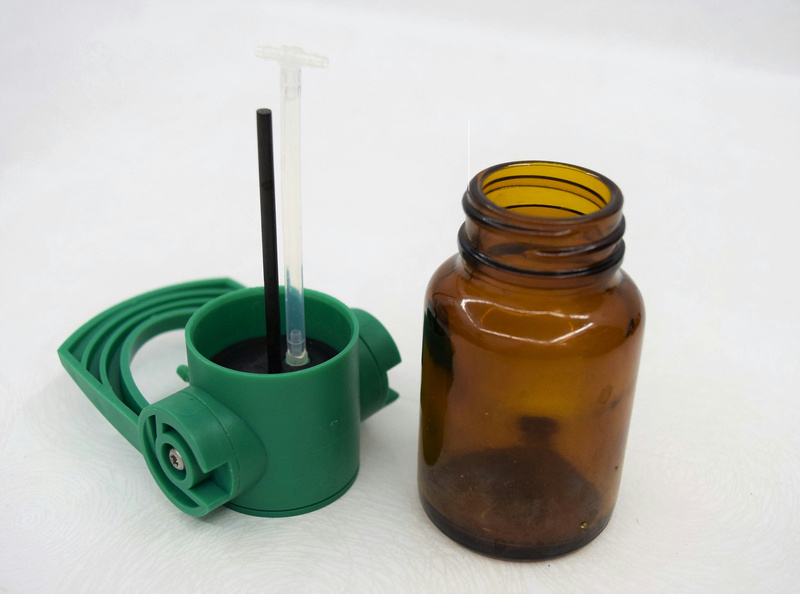 These reagent bottles were removed from the Siemens Walkaway dispensing system. The amber bottles appear to be threaded, but the adapters do not thread on. These are used with minor wear and age to them, in good functioning condition. Ten Dispense Bottles and adapters. Diagram of the Bottles and Adapters.